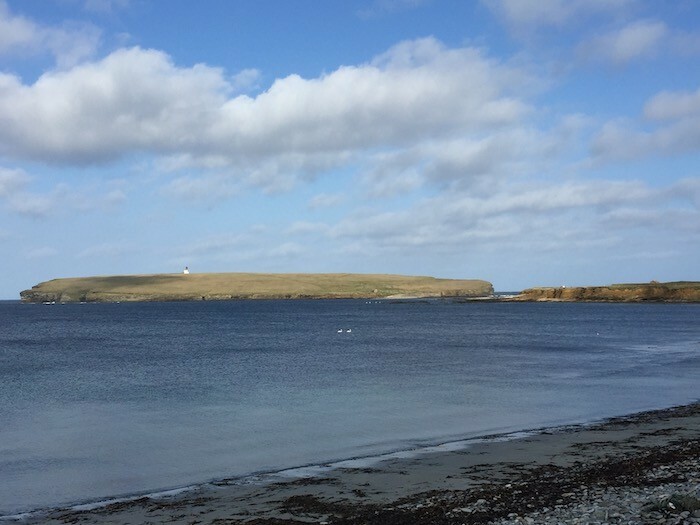 The swans are back for spring capers in Birsay Bay and guests in our self catering accommodation have already been counting them from our shoreline bench. Today there were 45! The swallows have also started to arrive with two dashing back and forward along the shoreline while gannets could be seen constantly diving further out to sea. Come to Annie's Place and watch the joys of nature just a few metres from your doorstep. Romance blossoming in Birsay Bay Sunshine!